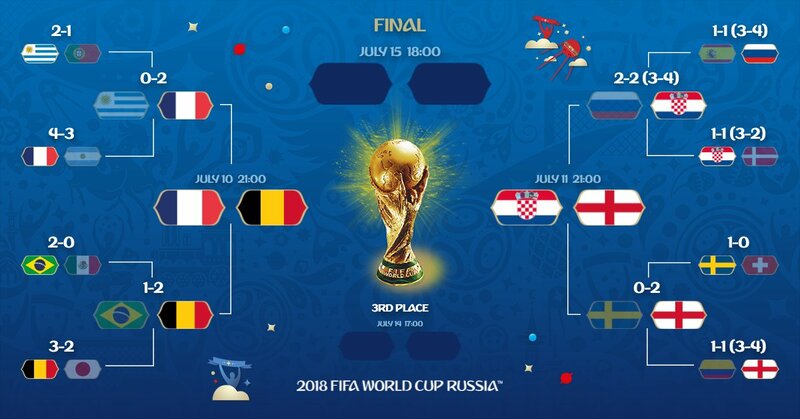 So France plays Belgium on Tuesday and on Wednesday, Croatia plays England in the Semi Finals. 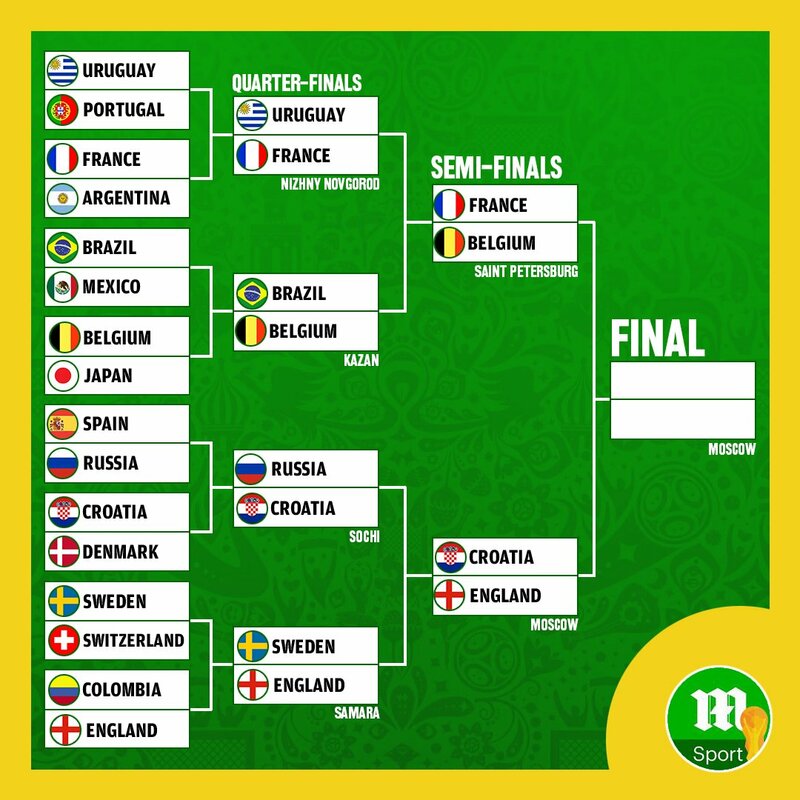 Best of luck to England and France!!! And who would you be supporting? The cup is coming home to England!